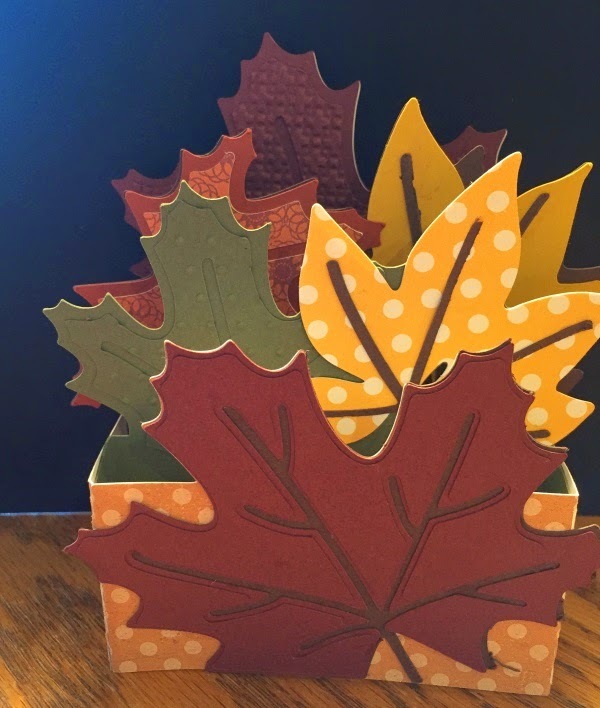 One of the box cards from the cutting file collection I got. 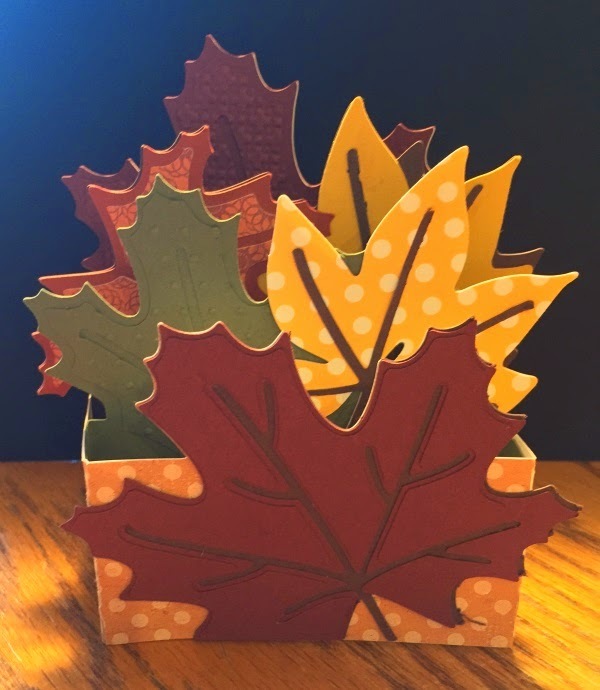 This one was used by Liz to give to Alli for her wedding. 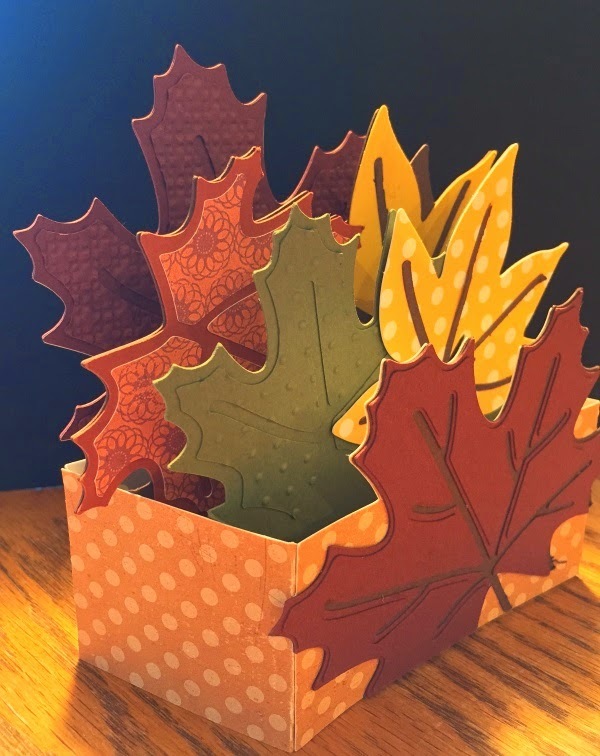 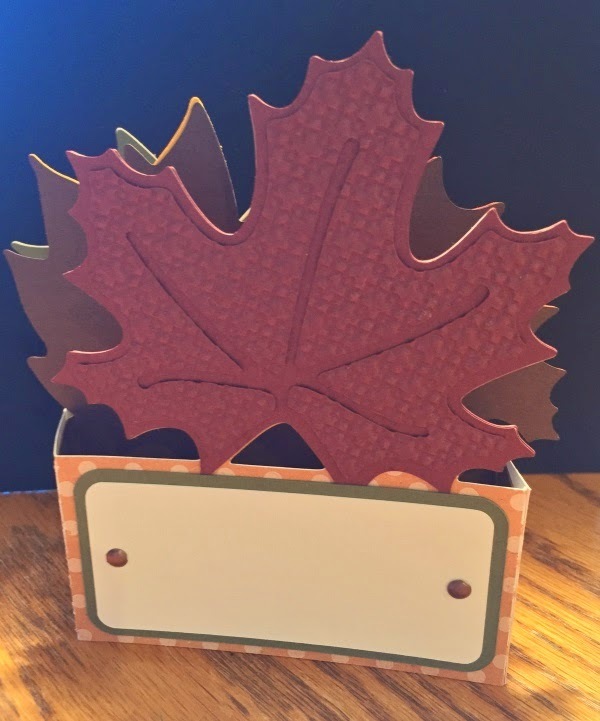 Used fall colors, embossing folders and patterned papers to create this fun card.